V. B. Kai-Rogers is a brilliant and sophisticated writer based in New York City. His eclectic style is representative of a diverse upbringing. This has inspired many of the characters in his poems, especially the very intelligent voices that arise. VBK’s hobbies include being a multitalented singer, actor and voiceover talent in NYC—an apt haven for one seeking to capture a spectrum of character mindsets and voices. 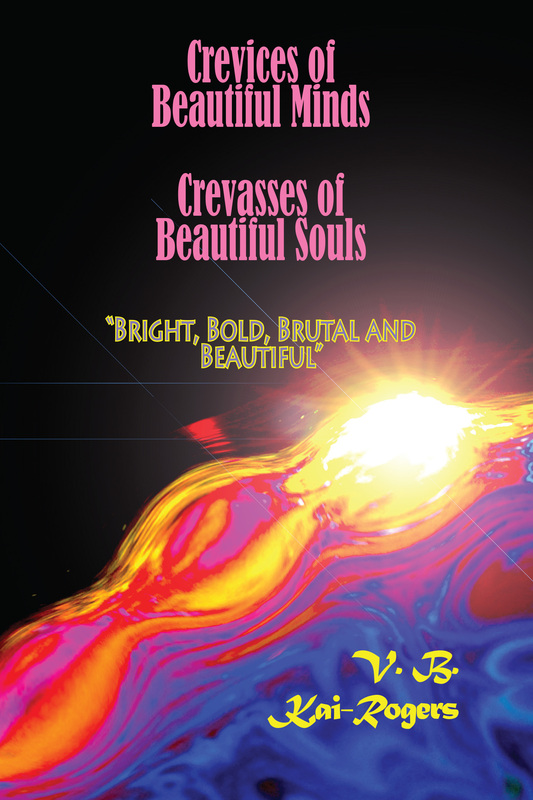 Crevices of Beautiful Minds/ Crevasses of Beautiful Souls ($15 – Click to Purchase, 120pp, 6X9″, ISBN: 978-1-937536-31-2, Hardcover ISBN: 978-1-68114-158-9, LCCN: 2012917402): “The poems make us feel our tangled nature…always caught within the tensions between light and dark, these poems trace out the modern path through heartbreak and shaken beliefs towards affirmation of life. They will give you inspiration.” —Glen A. Mazis, author of The River Bends in Time. “The beautifully written poems fill the heart and mind with insights that challenge, comfort and give hope all at once.” —T. L. Cooper, author of three books of poetry, Memory in Silhouette, Reflections in Silhouette, Love in Silhouette, and a novel, All She Ever Wanted. “…the wisdom of traversing the distance from faith to blasphemy and back again before finally making a home in a politically correct spirituality is both painfully playful and playfully instructive.” —Kar A. Ghoun Khan.